Does your child love planes? Would they love a stunning piece of personalised wall decor? 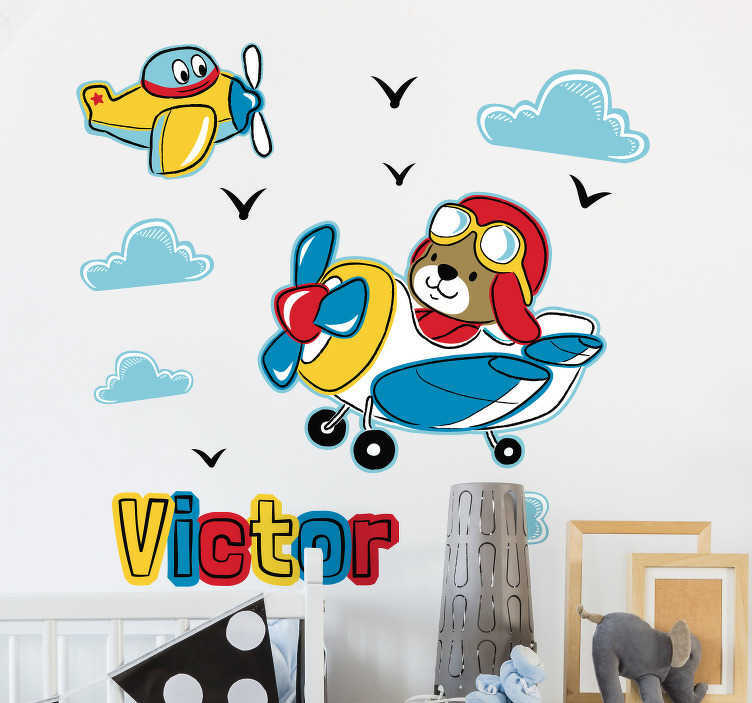 If the answer to either of these questions is yes, then you must consider decorating his bedroom wall with this fantastic customisable plane sticker! Depicts a pair of planes, one piloted by a dog, flying through the sky, with clouds and birds joining them on their birthday!